The brother of Paul Whelan, the American arrested in Moscow in late December, says Russia has given the family no information for why he is being accused of spying. The case of Whelan, an ex-Marine who served in Iraq, is the latest twist in Russia's faltering relations with the West. The Kremlin has dismissed speculation that his arrest is connected to the detention in the United States of Russian national Maria Butina, who in December admitted to conspiring to act as a foreign agent as part of a plea deal with U.S. prosecutors. Russia's Federal Security Service, or FSB, alleges that Whelan was caught in the act of spying. His family says he had traveled to Russia frequently as a tourist and was planning to attend a friend's wedding in Moscow when he was arrested. Whelan is the head of global security for BorgWarner, a supplier of automotive components. "We don't have any official confirmation from the Russian government about why Paul was thought to be a spy and what happened," his twin brother David Whelan said by phone. A librarian living in Canada, he has become the family's spokesman. Paul Whelan's case is classified as top secret, meaning that few details of the charges against him have been made public. In a terse news release consisting of three sentences, the FSB said on New Year's Eve that it had detained Whelan on Dec. 28 in Moscow and that he was being investigated under Article 276 — i.e. espionage — of the Russian Criminal Code. Whelan's lawyer, Vladimir Zherebenkov, says that Whelan unwittingly received a flash drive containing state secrets. In fact, Zherebenkov says, Whelan was expecting to receive photographs of Russian towns he had visited in the past from "an acquaintance." Because of the case's secrecy, Zherebenkov says he is not at liberty to provide any more details, including who gave Whelan the incriminating information. "We've made clear to the Russians our expectation that we will learn more about the charges, come to understand what it is he's been accused of, and if the detention is not appropriate, we will demand his immediate return," U.S. Secretary of State Mike Pompeo said days after Whelan's arrest. On Jan. 4, British Foreign Secretary Jeremy Hunt said: "Individuals should not be used as pawns of diplomatic leverage." Russian Foreign Minister Sergei Lavrov responded by denying that Moscow might try to swap Whelan for a Russian national in Western custody and said he had been caught "red-handed" while committing a crime. Diplomats from Whelan's four countries of citizenship, including U.S. Ambassador Jon Huntsman, have since been allowed to see him in jail. Because Whelan's family has no way of directly contacting him, those visits are a vital link. 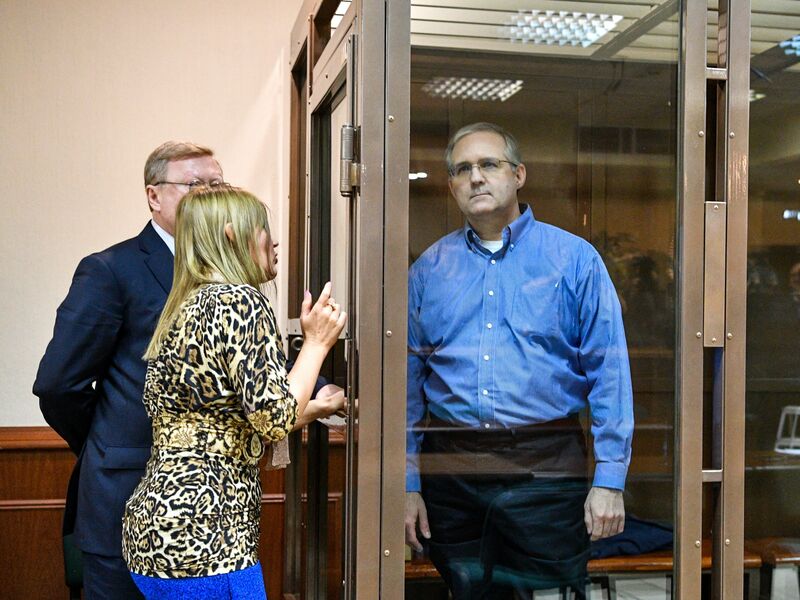 "To the extent that those continue and the Russians don't balk or block those accesses, it gives us some confidence that Paul's health and his rights are being taken care of, but now we're interested in the next steps to get him home," David Whelan said. Zherebenkov brushes aside those concerns, saying Whelan found him on the recommendation of unnamed "friends." "I mainly defend officials," Zherebenkov said. "I've defended FSB officers, policemen, judges, prosecutors and detectives, so I'm pretty well-known. I've been working for a long time, in fact I myself used to be a detective, so I know both sides of the barricades." What's more, Zherebenkov said he spent a year in pretrial detention in the same prison where Whelan is being held — before being vindicated in a bribery case. "I was there myself, I know what a jail is from the inside. And that's why the relationship to my client is sacred," he said. "I know what it means to be wrongfully accused." Although he doesn't speak English, Zherebenkov says there is no language barrier because a member of his team is fluent in English. Whelan has no complaints about the food, and the medical care in the prison is good, he said. "Paul is self-confident. He's a soldier," Zherebenkov said. "Paul is holding up surprisingly well and hasn't lost himself, as happens to many." The Whelan family is unsure what to make of Zherebenkov's breezy reassurances.